There are very few people alive during my lifetime who were more spiritual, and more inspiring than Mother Teresa of Calcutta. I have been to many Catholic conferences in the last 25 years, and at every one of them I have heard at least one story about her works and how they have inspired others to do good works. One of the things that has always struck me about her, and about the writings of hers that I have read, is her own personal humility. She never aspired to be a person of worldwide notoriety, she simply wanted to bring comfort and hope to some of the most desperately poor and ill people of the world. This quote speaks to me of that humility. Back in the 90s, when I was first stepping into formal project management roles, there was quite a lot of discussion about the ills of overly-ambitious projects. One of the identified causes of failures was basically that the projects were too large, and their scope to broad to be effectively delivered. We had several catch phrases for this phenomenon, including “boiling the ocean”, “raking the forest”, and “solving world hunger”. All of these metaphors were meant to show that some projects were just impractically large, and impossible to deliver upon. Of the three, the one that always resonated with me was “solving world hunger”. Boiling the ocean and raking the forest were not only incredibly difficult concepts, but also served no practical purpose. There is no noble cause that involves a pristine forest floor, and boiling the ocean would probably eradicate life on the planet. But, feeding the hungry is something I was raised to be aware of, and to strive to do. Sadly, the truth is that solving world hunger is above the means of any individual, and probably above the means of even the largest organizations on the planet. Given the enormous difficulty of truly solving the problem, it would be easy to just ignore it, or leave it to someone else to do. It seems quite hopeless. This is where Mother Teresa’s quote comes into play for me. I cannot, personally, solve any of the great problems of the world. I cannot clothe all those who need clothing, feed everyone who is hungry, bring an end to violence, or any of those things. I cannot do great things in any of those areas. But, I can do small things with great love. 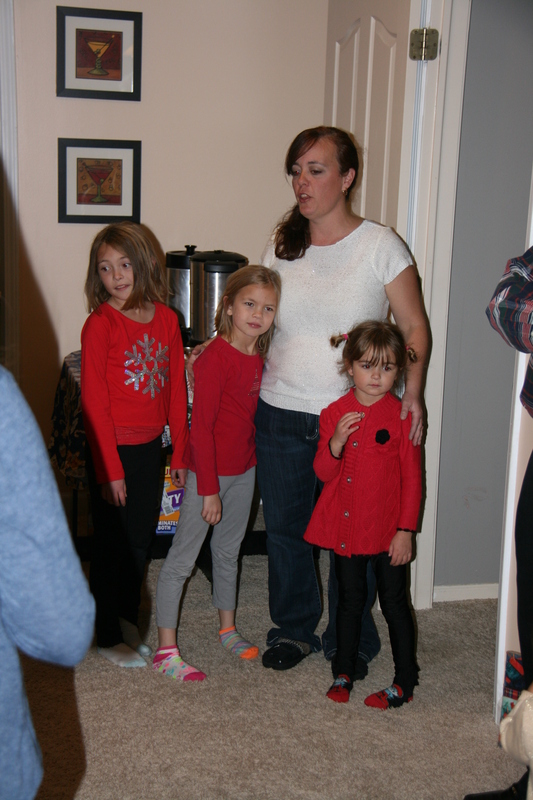 In my life there is no better example of this than an effort that a friend of mine has organized with her children. We loving refer to the effort as simply “shoe boxes.” Each year this family gathers together items to assemble shoe boxes for the poor at Christmas time. The items include basic health items like tooth brushes, toothpaste, soap, shampoo, a comb, and so on. There are boxes for adult men, adult women, and children. They do their best to fill the boxes with items that will meet the personal needs of these people, even if only for a short time. The children’s boxes include something fun for them, and all boxes include a personally written greeting card. 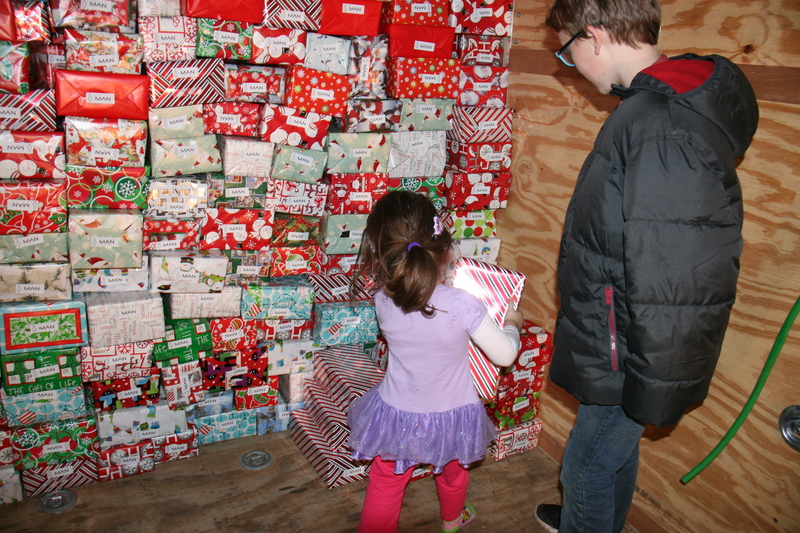 When each box is filled, it is wrapped in colorful Christmas paper, and stored in a large box trailer. On a cold Saturday morning members of this family, along with others from their church who also assemble boxes, take them to the poorest area of our city and distribute them. This family started doing this as a school project for their older two girls. That first year they assembled 5 boxes. 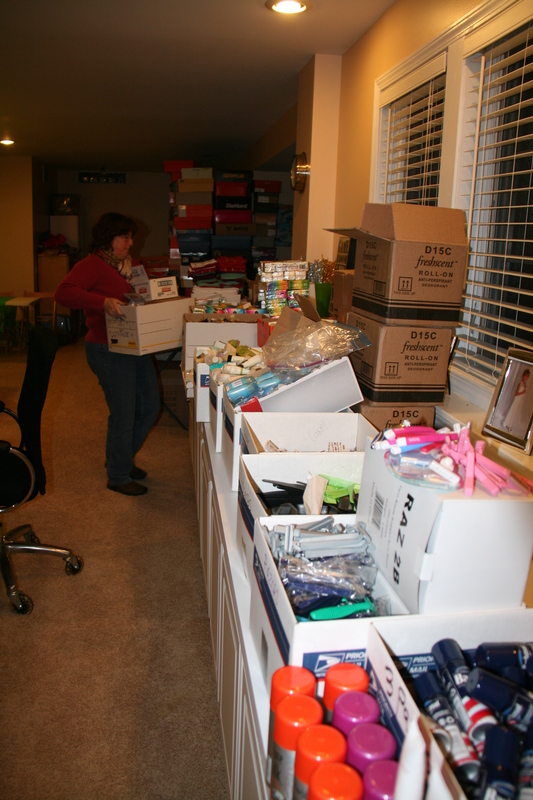 Last year, their 8th, an army of people descended on their house and put together over 500 boxes. I have had the privilege of being involved in this effort for the past several years. It is always a fun, and emotional night for us. Seeing this sea of people of all ages, from 3 or 4 years old, up to their 70s, working on these small gifts is inspiring. These small boxes of love make a difference in the lives of hundreds of people. They are the perfect example, in my mind, of small things done with great love. It will soon be time to gather at their house and assemble the shoeboxes. That night, Mother Teresa’s words will be echoing in my head. This entry was posted in Inspirational People, Personal Reflections, Reflection 365 and tagged bobby-c, inspiration, inspirational people, Mother Teresa, reflection 365. Bookmark the permalink.